Coffee and I have a very interesting relationship. Its smell is intoxicating. Its flavor is bold. Its caffeine often gives me heart palpitations. HA! My parents are the type of people that drink caffeinated coffee to wind down every evening after 8 p.m. I did not inherit those genes from them. While I’m not one for a cup of black coffee in the morning and an iced coffee is not a beverage usually attached to my right hand all summer long – though I do crave one every now and then – I appreciate coffee as an ingredient. I loveloveLOVE coffee-flavored anything. This throws back to my childhood, when my Nana Peg would make chocolate sauce with a healthy splash of coffee in it for flavor; of course, the sauce was served over coffee ice cream. Because giving chocolate and caffeine to a five year old is a GREAT idea! Haaaa. I wanted to pay homage to one of my many awesome grandmothers and put my own spin on this dessert! While I currently do have access to an ice cream maker at my current apartment – oooh la la – I wanted to make an recipe that’s more accessible for the majority of people that surely do not have one. Plus, no-churn recipes are fun to make, in my humble lil’ opinion! Lucky Jack® Coffee Slow Brew Coffee Concentrate truly helped me achieve the flavors I was looking for! I honestly was having childhood nostalgia when that flavor hit my tongue! I also mixed it up in in a few ways: the hazelnuts add a nice texture, but adding in a few cacao nibs adds a greater depth of flavor. I think it tastes great either way, but the nibs are totally optional! NOTE: Thanks to Lucky Jack® for providing me with various coffee treats for recipe testing purposes, as well as some occasionally-needed extra caffeine to keep me going as I recipe tested. – Place a large bowl – preferably metal – in the fridge for 10 minutes before whipping your cream in it! 1.) In a large bowl, mix together sweetened condensed milk and coffee concentrate. Set aside. 2.) Chop hazelnuts and shake them in a fine sieve to make sure any excess “dust” left over from chopping remains; these finer particles may contribute to some grittiness in your ice cream! Place hazelnuts in a small bowl and place in fridge to chill. 3.) In a large bowl, whip cream until stiff peaks. 4.) Gently fold whipped cream into coffee condensed milk mixture. When almost completely combined – a few streaks of darker brown color may remain – gently sprinkle top of ice cream mixture with the hazelnuts (and optional cacao nibs), and fold in. The color of the mixture should be a uniform lighter brown when completed. 5.) Pour ice cream into a container – a metal bread pan is perfect! – and cover with plastic wrap. Place in freezer and chill for 24 hours. Any true New Yorker eats ice cream year round – have you seen the insane amount of delicious artisanal shops around this city?! – and eating it at home is absolutely no different. In fact, I purposely don’t keep ice cream in my freezer because I know I’ll eat it. There are very few ways I take coffee – I’ve documented them well in my social media accounts – but caffeine and I are not friends. That caffeine buzz gives me the shakes times 1,000! It ain’t a pretty picture. However, at times, we can be cordial. Every now and then, I do enjoy a dazzling affogato, espresso poured over vanilla ice cream, for the layman. The shock of the hot drink marries well with the smooth, cold, creamy ice cream below it. I say, if you’re going to go hard, go all of the way. 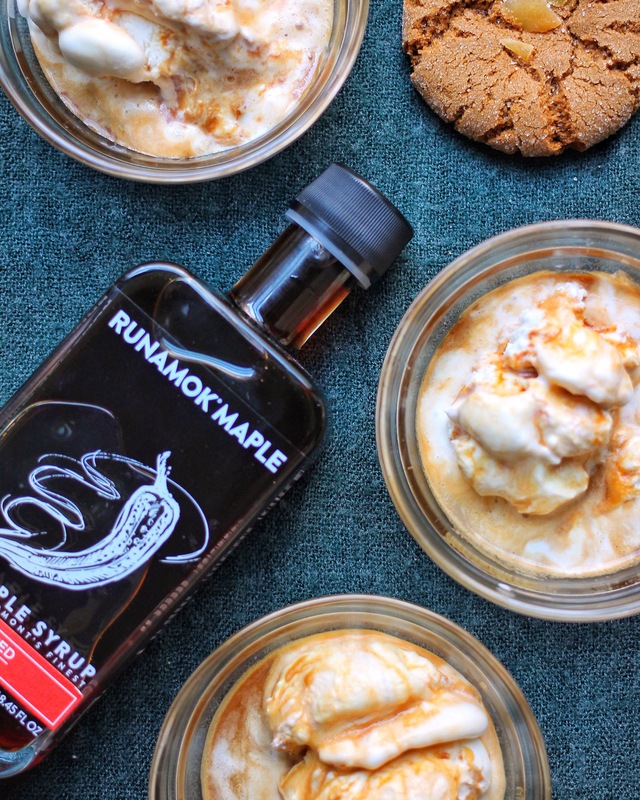 I’m a seeker of new flavor combinations, and I felt inspired to make this twist on affogato when I laid my eyes upon a bottle of Merquén Infused Maple Syrup from Runamok Maple. Merquén, a smoked chili pepper native to Chile, is delicious in this blend, the smoke hitting your mouth first before the slow heat files in. This is definitely a nice treat at the end of a long day. Hell, this might even make its way to your holiday dessert table if you’re feeling unique and adventurous! NOTE: Runamok Maple generously gifted me this bottle for review purposes. Thank you! Please support small business! 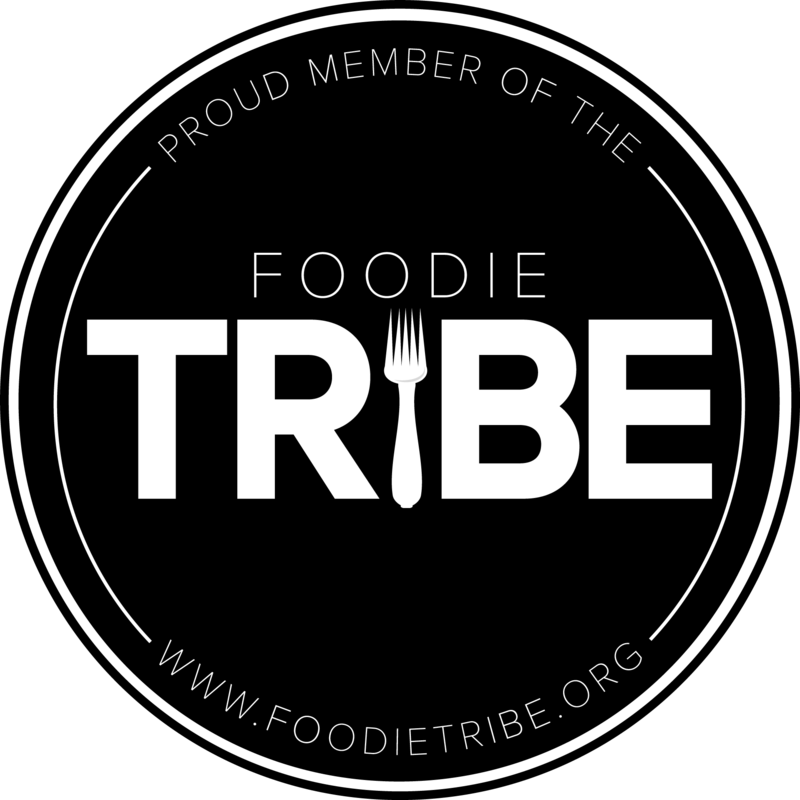 Please visit their website and check out their amazing line of syrups! – 1 pint vanilla ice cream or gelato; you’ll only need 3 scoops! – If you can’t get this specific maple syrup, add a small dash of chili powder of choice to 2 teaspoons maple syrup. Taste before adding to espresso! – Chill serving bowls before adding ice cream, if you prefer! I highly suggest it. 1.) Place one scoop of ice cream into three shallow serving bowls. 2.) Make espresso or coffee or buy your own. (Please see Before We Get Started…) Add in maple syrup. Mix thoroughly. 3.) Slowly pour (roughly; eyeball it!) .75 oz of espresso / maple syrup mixture over each scoop of ice cream. Drizzle with a little more of that maple syrup, if preferred! Enjoy immediately!